It followed an issue with illegal fishing along the river behind the factory which was discovered during joint patrols involving police officers and the Angling Trust’s volunteer bailiffs. Building Bridges’ Project Manager Janusz Kansik and Volunteer Bailiff Frank Hall spoke to workers about joining local angling clubs, respecting fishing laws in this country and practising catch and release. They were assisted by Wiltshire Rural Crime Officer PC Emily Thomas and Wiltshire West PCSO Matt Till. The aim of the visit was to try to build positive relationships with the angling community to help everyone have a better understanding of the laws and how to fish legally. Some of the workers at the factory are from Eastern European countries but any potential language barriers were averted as Janusz was able to speak to them in Polish and the Trust also provided multi-lingual leaflets. 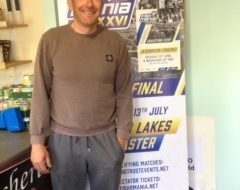 The Building Bridges Project aims to educate and integrate migrant anglers and is run in partnership with the Environment Agency and funded from fishing licence income. Building Bridges staff help angling clubs translate rules into different languages and provide multi-lingual signage. They engage with migrant communities, including schools, raising awareness and encouraging people to join local clubs and fish by the rules. 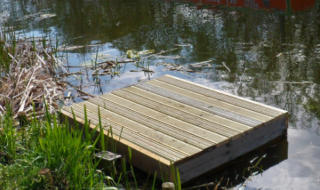 Any angling clubs requiring further information or assistance from Building Bridges can contact janusz.kansik@anglingtrust.net. 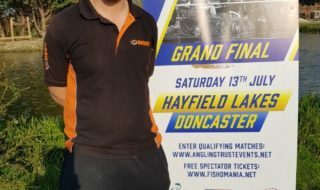 Volunteer bailiffs like Frank patrol fishing venues all over the country and act as the eyes and ears at the waterside, reporting any relevant intelligence about illegal activity to the Angling Trust, Environment Agency or police where appropriate to help protect fish and fisheries. 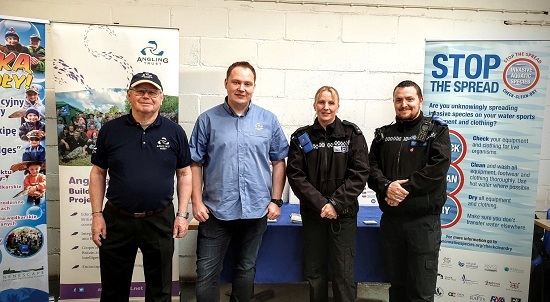 Nevin Hunter, the Angling Trust Regional Enforcement Manager for South West England said: “It was great to be able to coordinate this work and the feedback has been hugely positive. The Angling Trust works as part of the Wiltshire Rural Crime Partnership to help address issues of concern. In this case we have been able to work with the police to raise the profile of angling with migrant workers and to build links with local migrant communities. There are still opportunities to fish for coarse fish while rivers and streams are off limits during the current close season. The majority of still waters and canals will be open and anglers should check their local byelaws for the list of sites included within the statutory close season.